LeDor Publishing is thrilled to announce the recent addition of composer Paul Gibson to our roster and his beautiful work “Te Deum” for Chorus and Orchestra. Mr. Gibson received the Owen Award from Oregon Catholic Press for “outstanding achievement in the field of liturgical music.” CREATOR magazine named his Veni Sancte Spiritus one of the ten best sacred works of 2001. 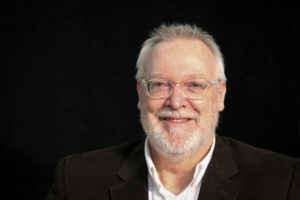 The Los Angeles Times described his Salve Regina as “music of vaulting exaltation,”and his choral works have been broadcast on hundreds of radio stations across North America. Paul Salamunovich, Grant Gershon, the Los Angeles Master Chorale, the Los Angeles Chamber Orchestra, Philip Brunelle, Charles Bruffy, the Kansas City Chorale, the Phoenix Chorale, the Debussy Trio, the National Children’s Chorus, members of the Los Angeles Philharmonic, Richard Proulx, the Los Angeles Chamber Singers,and the De Angelis Vocal Ensemble are among the many artists who have performed his work.